Our goal is to connect people with the best local experts. 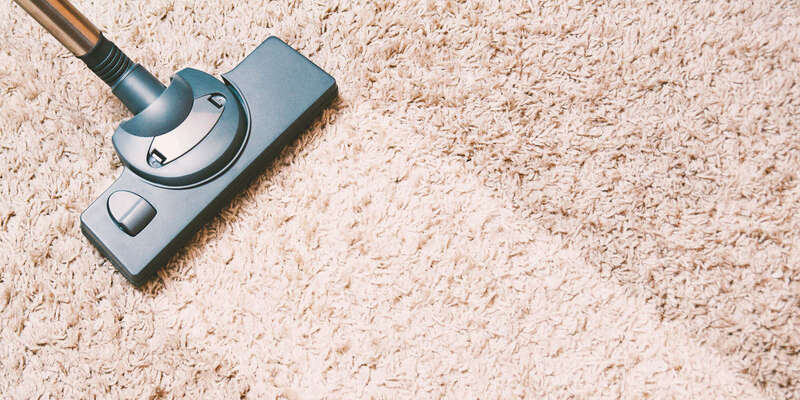 We scored carpet cleaners on more than 25 variables across five categories, and analysed the results to give you a hand-picked list of the best carpet cleaners in Huntington Beach, CA. Accent Service Company, Inc. serves commercial buildings throughout Huntington Beach, California. They are committed to providing eco-friendly, safe, and effective facilities maintenance, custodial services, and hospital housekeeping for business and federal buildings. They constantly update their practices to reflect newer, more reliable methods and products. They specialize in carpet cleaning, custodial services, property management, hardwood floor maintenance, vapor abrasive blasting, and window cleaning. Accent Service Company, Inc. believes in finding and offering cost-effective cleaning solutions for their clients, ensuring that their properties are safe, clean, and professional while maintaining budget-friendly prices. The technicians are committed to continually improving their services. Former and recurring clients of Action Carpet Care praise the company because of its top-notch services, friendly yet professional staff, dedication to customer service, and policy of leaving behind a clean worksite when it’s finished. The company is based in Huntington Beach but serves residents throughout Orange County. Customers can be commercial or residential properties seeking professional carpet cleaning. Action Carpet Care hires qualified individuals and then trains them to become professionals who offer services such as wood floor cleaning, granite countertop cleaning, stain removal, tile stripping and waxing, and leather sofa cleaning. People facing an emergency flood can contact the company to receive speedy service that helps salvage a floor as much as possible and begin the drying process. Coastal Breeze Carpet Care is a family owned and operated carpet cleaner in the Huntington Beach area. With years of experience, the company provides earth-friendly cleaning services for carpets, area rugs, tile and stone, upholstery, and commercial facilities. Owner and Huntington Beach native, Brandon Berberet, believes in providing exceptional customer service and producing top-quality results using only organic, biodegradable, and hypoallergenic cleaning products that are safe for children and pets to be around. Customer reviews reflect this dedication, with clients praising the company’s amazing results, organization, competitive pricing, and the staff’s friendliness and reliability. The company has in-depth experience in cleaning commercial lots like churches, restaurants, schools, theaters, and business offices. Discounts are available for religious institutions and periodic commercial cleanings. Huntington Beach Carpet Cleaning, in Huntington Beach, California, is a carpet cleaning company that strives to offer high-quality service to impress customers every time. A number of options are available including carpet cleaning, upholstery cleaning, sofa cleaning, water damage restoration, fire damage restoration, stain removal, odor removal, and pet hair cleaning, using eco-friendly products and advanced technology. They also have experience with a variety of delicate rugs such as Oriental, Persian, Egyptian, and Chinese. The office is open seven days a week, technicians provide same-day service, a special offer is available online, and they have been described as efficient and skilled. JTS Carpet Cleaning serves Orange County and Hunting Beach with quality, reliable carpet, tile, grout, rug, hardwood, and upholstery cleaning as well as pet odor removal. JTS Carpet Cleaning serves residential and commercial property owners as well as real estate management companies. The technicians are committed to 100 percent customer satisfaction, affordable services, and firm, on-time appointments. They are committed to improving the air quality in their clients' homes by removing allergens from the carpets, floors, rugs, and furniture. Customers on Yelp rated the company five stars, saying the technicians were knowledgeable, educational, and provided excellent services at affordable prices. Pat's Custom Carpet Care is owned by Pat and Colleen Rogue. Pat and Colleen have provided expert cleaning services to Orange County for more than 15 years, focusing on high quality and affordable care for residences and commercial buildings. They specialize in water and flood damage restoration, upholstery cleaning, carpet cleaning, carpet installation, carpet repairs, leak detection, hardwood floor cleaning, and pet odor removal. In addition to their regular services, they also offer area rug cleaning, carpet dying, spot dying, color restoration, and tile, grout, and stone cleaning. Clients on Yelp rated the company five stars, saying Pat provides exceptional service. The Specialist Complete Floor Care is an expert carpet, upholstery, and area rug cleaning company that serves Huntington Beach. They specialize in cleaning carpets, upholstery, and area rugs as well as carpet repairs and specialty stain removal, helping their clients protect their investment in their homes. Their products are certified wool-safe. The company also offers 24-hour emergency water damage restoration and cleaning, disinfection, decontamination, and odor removal services for cars, boats, RVs, and mattresses. With more than 55 reviews on Yelp, clients rated the company five stars, saying the technicians were neat, clean, and thorough, providing excellent service at affordable prices.